"...sophisticated and creative enough to develop solutions that always meet our needs and exceed expectations." "Juniper Payments is always ahead of the game with new services, technology and regulations.." "Juniper Payments has earned our confidence by delivering the support and solutions that empower us...."
Juniper Payments delivers payment services through correspondent and direct relationships with banks and credit unions throughout the US. 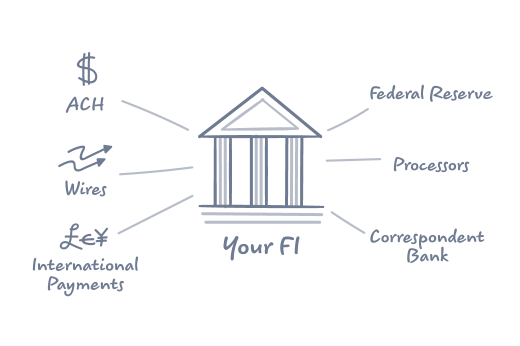 Our modular solutions are utilized by more than 3,000 financial institutions daily, driving payments from origination to delivery both foreign and domestic. Do You Represent a Commercial / Community Bank or Credit Union? Juniper Payments offers a comprehensive set of transaction, reporting and risk management tools designed to enable financial institutions to overcome the challenges of providing enhanced payment services in a highly competitive environment. Our solutions help financial institutions expand market reach, promote fee-based revenue channels and increase operational efficiency. Do You Offer Correspondent Services? 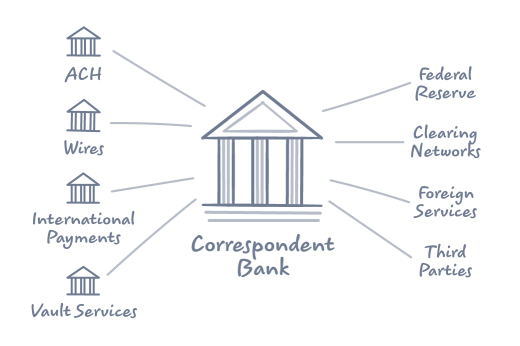 The innovator of the Correspondent Gateway, Juniper offers the industry's first and leading all-inclusive correspondent payment platform, built and scaled specifically for correspondent financial institutions. Our Correspondent Gateway combines payment origination, receipt, exception management, risk monitoring and reporting into an intuitive portal, designed to streamline user facing and back-end operations.